Every pool depends on the proper water chemistry to keep their swimming pool clean and clear. There are different ways to go about keeping up your water chemistry, there is the old fashioned way of putting in the chlorine in the skimmer basket, then there are floating chlorine and bromine dispensers that you fill with tablets and they float in a water tight container releasing chlorine into the pool as the tablets melt away. Then you have the Electronic Chlorinators and Salt Chlorinators, with these pierces of equipment it makes staying on top of your pool maintenance a breeze. 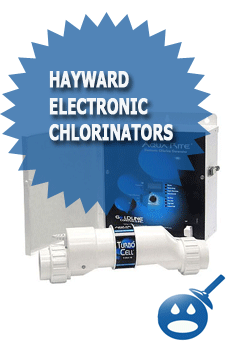 There are other styles of chlorinators on the market but they don’t have Hayward’s patented Turbo Cell. The Turbo Cell is a converter that is hooked up to the control unit. When the water comes through the Turbo Cell, it emits an electrical charge (safely) that charges the salt from the water into fresh clean chlorine that will keep your water’s chemistry level. You will need to add the salt to the chlorinator system. The manufacturer recommends that you use Sodium Chloride that is 99% or more pure. This is basically common table salt. You can find these in 40 to 80 pound bags. They will be labeled as Coarse Solar Salt. Read your owners manuals to determine how much salt your swimming pool will need. When you choose one of Hayward Salt Chlorinators, you won’t have to deal with strong smells of chlorine and believe it or not these units are very cost effective and will leave your water soft and smooth. 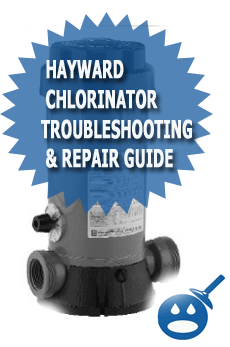 Hayward’s three best chlorinators are the Aqua Rite Pro, the Aqua Rite and Aqua Rite XL and SwimPure Plus. If you are looking for a new way to keep your swimming pool clear throughout the season then read more about these three best selling items. The Aqua Rite Pro from Hayward is a new complete swimming pool chemistry system. This system was designed to allow your swimming pool water or even your spa water to be completed cleansed and sanitized. The way this system was created to work is by 100% safe electrolytic charges that are sent by low voltage charges to change the salt in your water to 100% safe and pure chlorine. The turnover on this system is incredible. It works with a self-renewing process that can create 1.45 pounds of chlorine a day. 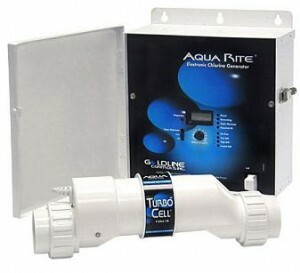 You won’t be spending time worrying about your chlorine levels, the Aqua Rite Pro does it all for you. Some of the applications that the system can be found are Total Pool Chemistry Sense and Dispense ORP (chlorine and pH). These systems work great for inground swimming pools up to 40,000 gallons of water. You will find there are 3 different models of the Aqua Rite Pro, the AQ-RT-PRO works with pools up to 40,000 gallons of water and it comes with a 15 foot power cord. The AQ-RT-PRO-25F also works with 40,000 gallons of water and a 25-foot power cord. Then the AQ-RT-PRO-20 works with a 20,000 gallon swimming pool and comes with a 15 foot power cord. The Aqua Rite Pro is easy to use and the range of chlorine that it can dispel is between 1% and 100%. You can adjust the Aqua Rite to your pools needs. There is a digital salt display and there are 8 diagnostics indicators letting you know that something is wrong with your systems. 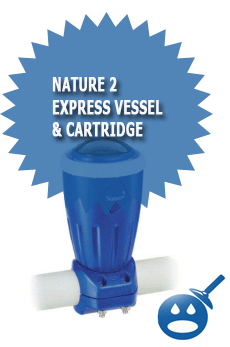 The Aqua Rite Pro works with a single unit of 120/240 vac and a 50/60 hz input. You will also get a locking weatherproof enclosure so the rain or wind won’t allow debris to get into the system. Like Aqua Rite Pro the Aqua Rite and the Aqua Rite XL are designed for residential swimming pools up to 40,000 gallons of water. This system can be used with many units for bigger pools. The Aqua Rite XL comes with an easy to do installation kit. 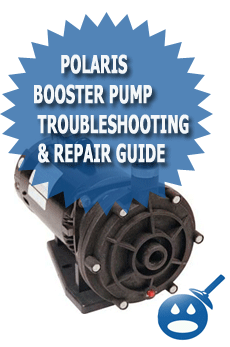 This system is easy for the pool owner to operate. There are adjustments anywhere from 1% to 100% depending on what your pool’s chemistry levels are. There is an onboard microprocessor that can help automate all of the functions. There are 8 diagnostic indicators as well as a super chlorinate function. By using the Aqua Rite and the Aqua Rite XL, you are getting a chlorinator that can provide the best water quality there is and you can easily maintain clear water everyday so you and your family can swim and get more from your swimming pool. With the Aqua Rite and the Aqua Rite XL you are also getting a weatherproof connections located inside the control door. There is also a locking weatherproof enclosure to keep the unit safe. There are 4 different models in this unit, the AQ-RITE works with a 40,000 gallon unit with 15 feet cell and flow switch cables. The AQ-RITE-25 works with a 40,000 gallon unit with a25 foot cell and flow switch cables. The AQ-RITE-20 uses a 20,000 gallon unit with a 15 foot cell and flow switch cables. The last model number is the AQ-RITE-XL this system works with 40,000-gallon pool and a 15-foot cord and installation kit. The Aqua Rite and the Aqua Rite XL offer the same functions and they work exactly the same but the XL comes with an installation kit. The SwimPure Plus is an Electronic Chlorine Generator; this is the biggest selling system not just from Hayward but also all over the world. This system was designed to automatically produce pure chlorine every single day as the pool is being filtered. Now you can get more from your swimming pool all season long. The SwimPure Plus uses a small amount of salt that is dissolved into the pool water. The SwimPure Plus System can sanitize a swimming pool up to 40,000 gallons of water in residential swimming pools. 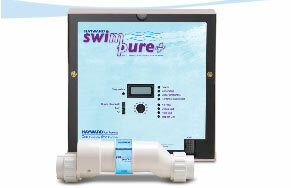 By using the SwimPure Plus System you are ensuring your swimming pool water to be soft and silky. You won’t experience red eyes anymore from over chlorinating your swimming pool. The unit has the patented Turbo Cell that maximizes efficiency of the chlorinator. When you choose the SwimPure Plus, you are getting a microprocessor that automates all functions as well as a digital salt display and 8 different diagnostic indicators. Each unit is rated at 120/240 vac with 50/60 Hz power units. They include a locking weatherproof enclosure and a quick weatherproof connection inside the control door. There is only one model for the SwimPure Plus and it works with 40,000-gallon unit with a 15-foot cable, installation kit and a cell and flow switch cable. It may be hard to choose from all three of these great products. If you are still using the same old chlorine system it may be time to update with the latest technology. See your local Hayward distributor and check out the Aqua Rite Pro, Aqua Rite and Aqua Rite XL or the SwimPure Plus. You will have more time for swimming and less time for maintaining your swimming pool’s water chemistry.